Buttoned placket and stiffened collar. 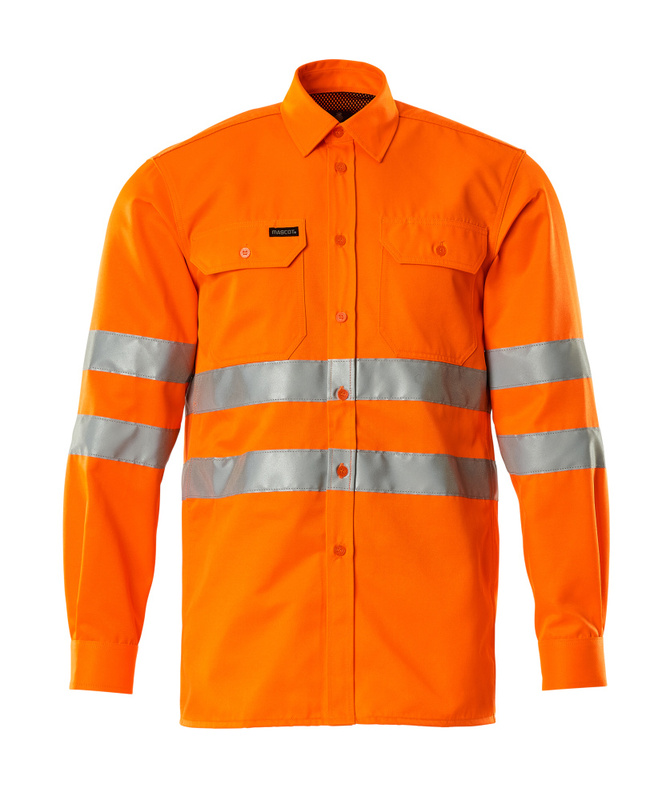 Fluorescent and with reflective tapes. Spacious long style. Double stitched seams on sleeves and at the sides. Buttoned placket. Stiffened collar. Chest pockets with flap. Pen holder. Pleat in back with ventilation. Reinforced arm vents. Cuffs with button adjustment.